JASPER -- You’re probably not thinking about the fall election while you’re enjoying the Strassenfest, but a local group wants to change that,even if it’s just for 5 minutes. That’s about how long it will take you to register to vote! 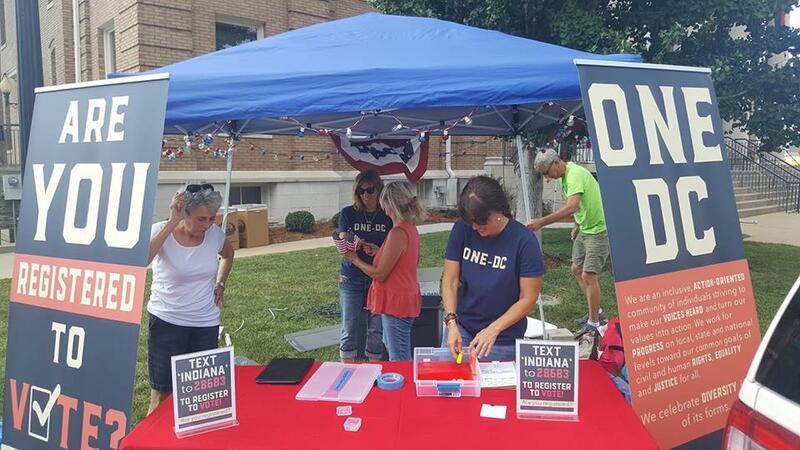 One Dubois County has a table set up in the courthouse square to give you a fast and easy way to register to vote. One Dubois County will be at the Strassenfest this evening and Saturday from 4:30 – 9:00 p.m.
Their table is located on the south end of the courthouse square.